The best way to celebrate Valentine’s day is with wine and chocolate. How do you make sure the two will pair well? Well the flavors need to complement each other. If you reading this article, you likely know a bit about wine aromas. But what do we know about chocolate aromas? Is there an aroma wheel that could help us define the aromas that would pair well with our favorite wine? Well there is one chocolate sensory wheel. Three researchers from Ghent University in Belgium just published an article entitled “Development of a sensory wheel and lexicon for chocolate” in Food International. The objective of their study was to create a list of sensory descriptors of chocolate based on consumer language. This lexicon includes descriptors of the appearance, aroma, taste, and texture of chocolate. They worked with five groups of consumers (n = 48) who generated a total of 104 descriptors, after tasting a range of white, milk and dark chocolate samples. They screened and grouped these words using the wine aroma wheel concept by arranging them in 3 tiers: the most generic terms in the center of the wheel and the more descriptive terms on the outer circle. The final wheel includes 21 categories and 61 descriptors. The chocolate flavor wheel is available for download from the journal website. The bite: Is it crunchy, snappy, or hard? 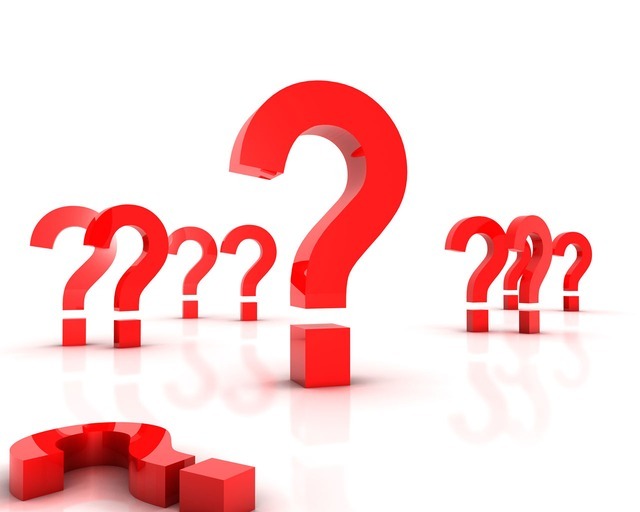 The Melting: is it melting slowing? The Mouthfeel: is it creamy, grainy, sticky in your mouth? Slow melting chocolate leaves you with lasting flavors in mouth as well as a creamy mouth feel. Dry red wines will pair well by balancing the richness of the chocolate and help wash away the remaining chocolate in mouth. Crunchy and hard chocolate may need a sweet wine to help lubricate the mouth and enjoy both the wine and chocolate flavors. Hard to bite chocolate tend to contain more cocoa and can be more bitter in taste. 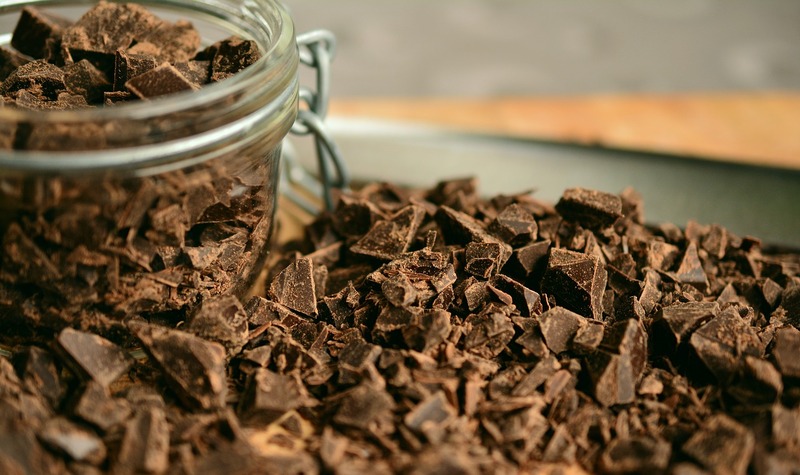 Rich, smooth chocolate tend to contain more cocoa fat (or soy lecithin) and are also sweeter. This is also why slightly sweeter wines (Late Harvest white wines) or wines with higher alcohol content (Port wines) will complement well bitter chocolate and drier wines such as Pinot Noir or Gamay will pair well with sweeter chocolate. 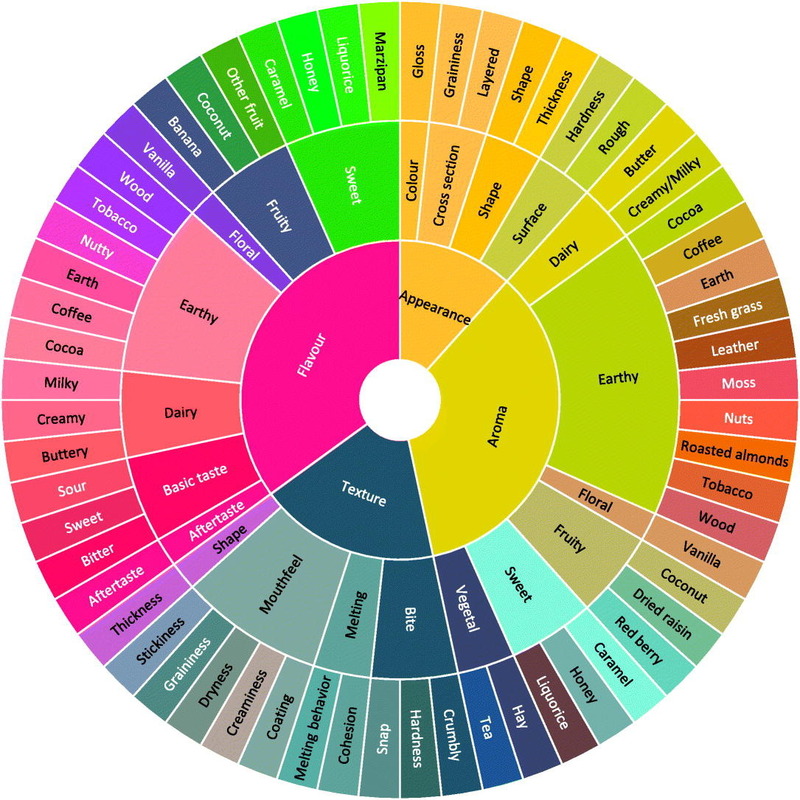 The Aroma and Flavor categories on the chocolate sensory wheel include five common categories: Dairy, Earthy, Floral, Fruity, and Sweet aromatics; Vegetal is a category represented only in aroma. It is wise to pair wine and chocolate of similar flavor profiles, e.g. fruity chocolate with fruit forward wines. Pairing wines and chocolates with very dissonant flavors will create conflicting and chaotic perceptions in your mouth, imagine tasting an earthy wine with a milky chocolate. 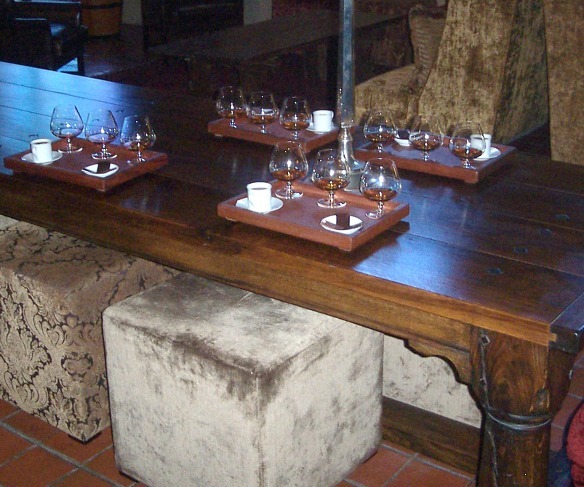 My best personal experiences were pairing Port wine and dark chocolate, or Brandys with rich chocolate. As often, Sparkling wine pairs well with chocolate desserts. What is your favorite wine and chocolate pairing?